Getting up the stairs can become very difficult for your loved ones as they age. Whether they are living independently in their own home or moving in with children or other family members, stairways are a very common problem. So what is the best way to get an elderly person upstairs? Many articles you read will say to use a gait belt, but when it comes to stairs, this can become a dangerous situation. Gait belts are great for getting someone to a standing position or moving from one seat to another, but stairways are a different animal. It is not impossible, but you want to make sure that the person helping is strong enough that should your loved one lose their balance, you are able to hold their weight to keep them from falling. Remember, when you are dealing with someone who does not have much strength, you will be bearing the majority of their weight. Next, we have the cane. Considering that we are already dealing with someone who is having difficulty getting up the stairs, just think what adding a cane will do. We’re now saying, we know you’re having trouble, so we want you to now hold on to a cane and try to get up the stairs. The last thing that we want to happen to the aging is for them to suffer a fall. It is important that we do everything necessary to keep them from getting injured. Can Walkers Be Used on the Stairs? Walkers can be used on stairs when done properly, but again, it is not advised as a permanent solution for the elderly. Many people that use walkers on stairs are doing so because of a surgery or injury that is only a temporary situation. Keep in mind that most who attempt to use a walker on stairs are not in the ageing process, and will have more strength to successfully get upstairs. Can You Use a Wheelchair to Get Upstairs? Now, if you’re loved one is in a wheelchair, this makes it even more difficult to get up or down the stairs. 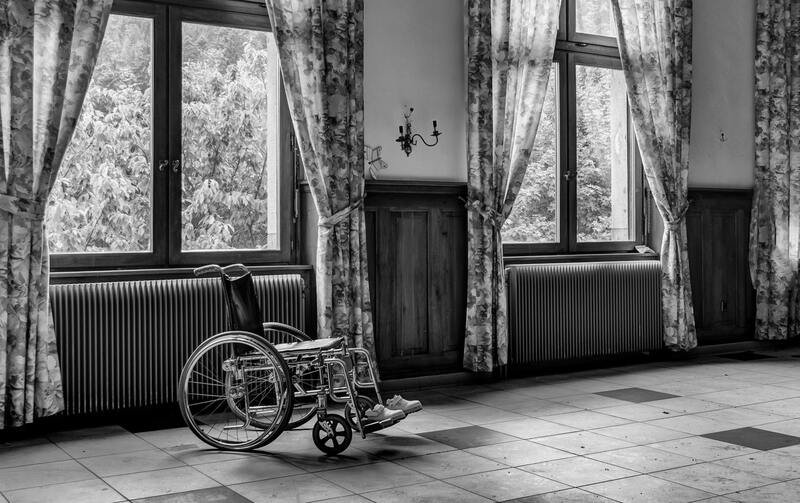 Trying to get someone in a wheelchair upstairs is a very unsettling and dangerous situation. It is possible, but not recommended as a permanent solution. Senior Safe Solutions is happy to provide a service of installing stairlifts that will put you and your loved ones at ease, and allow them to keep their independence while maintaining safety. If you would like to know more about how a stairlift can provide your family with peace of mind, contact us today to find out more. There are a number of benefits to walk in tubs that should be considered when researching what is best for you. Whether you are looking at having one installed for physical reasons, or simply because you are looking for something a little more luxurious from your standard bathtub, we’ll help you determine whether it is the best choice. If you are disabled, getting older, or you are having a difficult time lifting your leg over the side of a traditional bathtub, a walk-in tub might be the perfect solution. Getting into a traditional tub under these circumstances can be very dangerous. With a walk in bathtub, you simply step into the tub and close the door. Once you’re in, you can relax on your cushioned bathtub seat. Some of the most common injuries that occur at home are slips and falls, which can make the bathroom a danger zone. If you find that it is getting more difficult for you to get into the bathtub, there is a substantial amount of danger getting out when the tub is wet and possibly slippery from shampoos and soaps. Walk in tubs alleviate the dangers of standing on one leg while getting in/out. They do not require you to lift your leg at all, you simply step in and out using both feet. We are all aging, and if you are at an age where your fear of falling is increasing, a walk in tub offers you the opportunity of keeping your independence while practicing safety at the same time. You can shower or bathe without the fear of slipping or falling while entering or exiting the bathtub, and without being dependent on someone else to help. Safety aside, a walk in tub is a luxurious addition to your bathroom. Our walk in tubs have a number of features that will make you wonder why you waited so long to have one installed. Senior Safe Solutions walk in tubs offer an exclusive frameless design, allowing you to add safety without losing the beauty. They are equipped with the lowest step in height, many as low as 1 inch, and are coated with marine-grade gel. There are 10 deep tissue water jets, and 18 soft tissue massage air jets. Don’t forget about the chromotherapy lighting (or color therapy), which uses color to balance your body’s energy where it may otherwise be lacking. Combine water, heat, and air, and your joints will be thanking you later. Just as a traditional bathtub is an investment, the same is true for a walk in tub, but the benefits far outweigh the cost. There is a belief that walk in showers and tubs are quite a bit more expensive than traditional ones, but this could not be further from the truth. If you are looking to remodel your bathroom, or you need a safer alternative to showering or bathing, do yourself a favor and do a little pricing before making your decision. You can also check out our post about whether or not your walk in tub would be covered by Medicare. Senior Safe Solutions can provide you with an estimate that just might surprise you. Contact us today to see how we can help make your bathroom functional, safe, and beautiful. Are Walk In Showers Covered By Medicare? Medicare has specific rules about what types of equipment and supplies they will cover, and a good rule of thumb is whether it is considered “durable medical equipment”. So what is durable medical equipment? It is something that is prescribed by a doctor, and is medically necessary for use in your home. Looking further, Medicare also requires that the medical equipment prescribed cannot be used by someone who is not medically sick or injured. Looking at the definition above, it is safe to say that a walk in shower would not meet these requirements. Even if a doctor did “prescribe” it, it is the type of equipment that would not be specific to one person. Think of hospital beds. This type of equipment is covered under Medicare when prescribed by a doctor because a hospital bed would only be used by the patient. There is not a “yes or no” answer to this question. You should be prepared to cover the cost of the walk in shower including installation at the onset of the project. If you can get a doctor to “prescribe” the shower as medically necessary, get this in writing before you move forward with the purchase. Once you have the prescription and the invoice that you have paid for it, submit it to Medicare for reimbursement. Sometimes they will reimburse a portion of the cost, but not always. It is worth the envelope and postage, even if they decline your reimbursement.